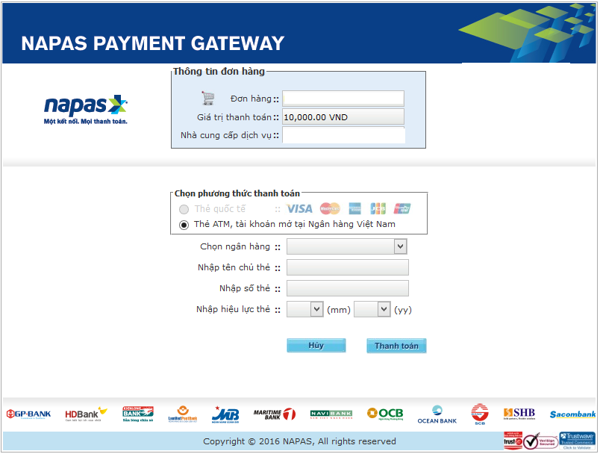 Step 1: Log in to your service provider’s website to select the item, service and payment method as NAPAS domestic payment portal. Step 2: Type in your card information. 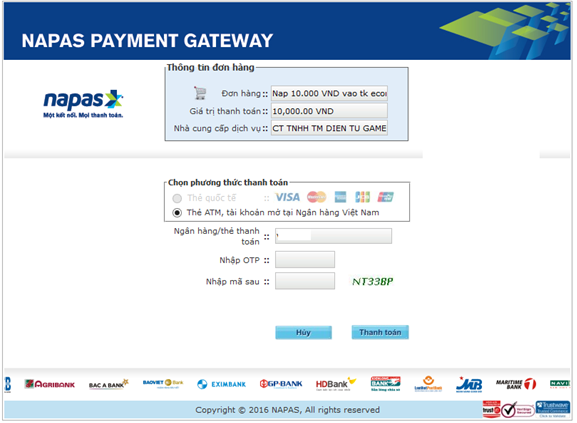 After selecting your payment method, you will be transferred to NAPAS payment portal. 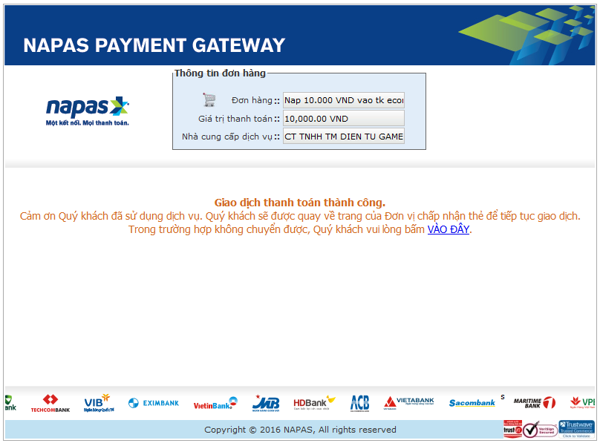 Type in your card’s information as requested by the issuing bank. If your card’s information is incorrect, the card is not eligible for payment … an error notice will pop up on the screen. If that is the case, please restart your transaction or use another card. If your card’s information is correct and the amount of money is sufficient, you will be transferred to the OTP confirmation page. Or type in the OTP sent to your phone. You will be transferred to your service provider’s website to get details about your transaction results. After that, a delivery confirmation will be sent from the merchant.